Our commitment to engineering excellence in motor design begins with the inspiration of our in-house research and development engineers. We have a combined 100 years of experience and knowledge in areas such as metallurgy, electrical and mechanical engineering, and motor magnetics. Aurora inverter-duty motors are among the most recognized brands in the industry. 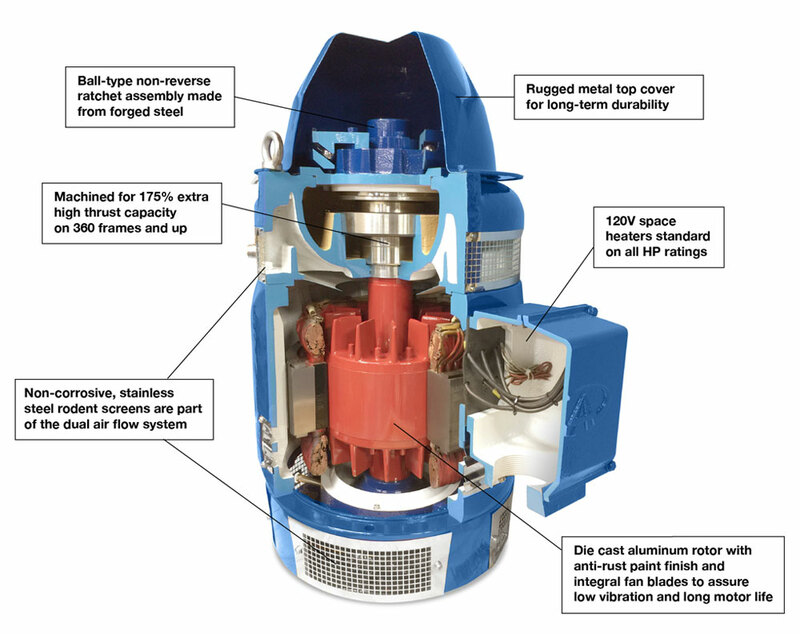 Available with WP1 or TEFC enclosures, our Vertical Hollow Shaft (VHS) and Vertical Solid Shaft (VSS) motors are built from the highest quality materials. Tailored to your specific requirements, they perform under the most strenuous and extreme conditions. Our inverter-duty motors carry certifications and designations of quality from some of the most highly regarded organizations and agencies in the industry. We offer DOE Certified Premium Efficiency motors featuring optimized systems efficiency, reduced electrical power consumption and costs, and improved reliability as established by the National Electrical Manufacturers Association. Aurora Vertical Hollow Shaft Motors are listed by Underwriters Laboratories (UL). Our products have been evaluated by UL and meet their safety standards. Aurora Motor’s quality management principles meet ISO 9001 standards. These principles include a strong customer focus, the motivation of our top management, our process approach, and our dedication to continual improvement. Aurora Motors is an associate member of the Electrical Apparatus Service Association, Inc. (EASA). EASA is an international trade organization of nearly 1,800 electromechanical sales and service firms in nearly 80 countries.